Valerie was set to marry the love of her life and the son of a wealthy New York family, but it wasn't meant to be. Years later, after her fiancé disappeared, her parents decide she should marry someone else. Determined to find her true love, she heads west to his last known location. Can she find love at long last on the western frontier? 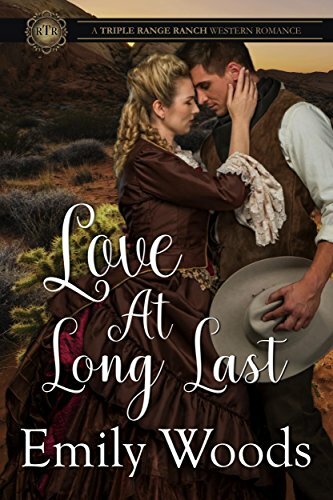 Love at Long Last is a clean western romance from #1 Best Selling author Emily Woods. If you like clean, historical fiction about women who must overcome tragedy in order to love again, you will love this sweet romance! Buy Love at Long Last and get lost in another sweet western romance today.